Fall is about to start and the temperatures will go down. This is a good time to think about your next home improvement job. 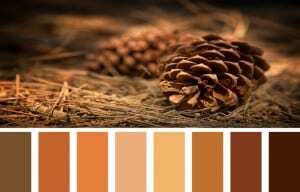 How about redecorating using fall colors and some autumn inspired accessories to get your home ready for the upcoming Holidays including Halloween, Thanksgiving and even Christmas? If you are not planning to repaint your home, some fall themed accessories can still give your home that cozy appeal you are looking for. From festive fall inspired wreaths in your living or dining room, which you could switch out with Halloween wreaths, to bright oranges pumpkins on your porch, to brown or plaid pillows and blankets, there are so many things you could do to change the atmosphere of your home. Just changing the colors of your curtains, shades or drapes to get the fall feel and adding matching lamp shades could make a world of a difference. If you are not sure how to make your rooms flow ask the experts at Texas Paint. For more information click here: https://texaspaint.com/services/.